The 2018 rugby league State of Origin series has been blown open by the unexpected immediate retirement from representative football of Maroons captain Cameron Smith. Queensland coach Kevvie Walters will have a few headaches with this addition to the earlier retirement of former key players Thurston and Cronk. The word is that NSW coach Freddie Fittler will make drastic changes to his Blues team in an effort to overcome the horrors of the past 12 years. Expect a fair old cleanout as well as the odd bolter or two. All of a sudden we have a new ball game (and series) on our hands. We’ll all await the release of the respective teams for Game 1 with quite some expectation. Meanwhile, watch all the speculation that will whirl about in the coming weeks. Meanwhile, where does Cameron Smith fit into the pantheon of rugby league’s greatest players at club, State and international levels? Right up there with the very best would be my estimate. Is anyone brave enough to nominate either or both teams for Game 1? Where do you rank Cameron Smith? Have your say. Ian Hauser played rugby league (very poorly) at secondary school. The school’s yearbook recorded that ‘he likes to save himself’. Perhaps that’s because he was a little squirt. These days he plays with words. 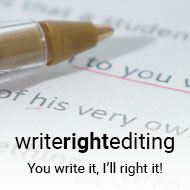 Check out his editing services here. I’m not sure of teams per se for game one but several of my Blues supporting friends want a broom put through NSW with no-one who has played more than ten games for the Blues picked. This means you still get experience heads like James Maloney but not players too tainted by regular defeat. As for QLD I think Andrew McCullough gets the 9 spot for QLD. They don’t really do bolters so Kevin Walters has more layers locked in I’d say. No Smith, Thurston, Cronk. But we all know how this movie ends right? As the author of State of Origin 30 years and State of Origin 35 years, I rate Cameron Smith as the number 1 player in State of Origin history. A lot of people would go for Wally Lewis, Andrew Johns or Darren Lockyer, but my vote undoubtedly goes to Cameron Smith. To say his retirement from representative football is an enormous loss for the Maroons would be a huge understatement. Admittedly it is impossible to compare players who played in different positions, not to mention that players from different eras can’t be compared. The game was completely different during Wally’s career compared with Cameron Smith’s career. But all things considered, Cameron Smith rates at the top of my list of best ever Origin players, with Johnathan Thurston at 2, Wally at 3 and Andrew Johns at 4. By far the most experienced State of Origin campaigner, Cameron Smith has played a phenomenal 42 games at that level. He was, by and large, the cornerstone of Queensland’s staggering record of 11 series wins from 2006 to 2017. He has it all. Nobody controls or influences a game like he can, nor can anyone perform on the big stage as consistently as he can. He makes tackle after tackle; he provides astute service from dummy-half; he can kick judiciously; he can read the play as if he was watching from the sideline; he is often two or three plays ahead of the others; he is a genuine leader; he is a master tactician. Simply the best in Origin history, and one of the greatest rugby league players of all time. Queensland’s nucleus has dwindled away gradually in the past 7 years with the retirements of Lockyer, Civoniceva, Tate, Hodges and Parker while Thaiday, Lillyman and Guerra were dropped after game 1 last year. Now with Thurston, Cronk and Smith gone, the Maroons are certainly in a rebuilding phase. The Maroons still maintained a winning habit even with experienced campaigners pulling the pin in the past 7 years, but only time will tell if they do it again. Cameron Smith, without a doubt, is irreplaceable.